The Dallas Cowboys are off to a rough start. After posting the best record in the NFC last season (13-3), the team has already matched last year’s loss total after only five games. But the team got some news that could save them from slipping further behind. Star runningback Ezekiel Elliott was given a six-week suspension from the NFL, but he was able to delay the suspension for another two weeks. Ezekiel Elliott was back with the Dallas Cowboys on Wednesday, his six-game suspension over domestic violence allegations on hold again after the star running back served a day of it waiting for another reprieve that eventually came. Last year’s NFL rushing leader left no doubt that he will keep fighting a legal battle that so far has lasted six weeks with hearings in three courts in three states. A fourth hearing — and the second in a New York court — should happen before the end of the month. Elliott was granted his second temporary restraining order, this one from a New York judge, Tuesday night, clearing him to play Sunday at the San Francisco 49ers. He likely will be eligible the following week at Washington based on the court’s timeline for another hearing. 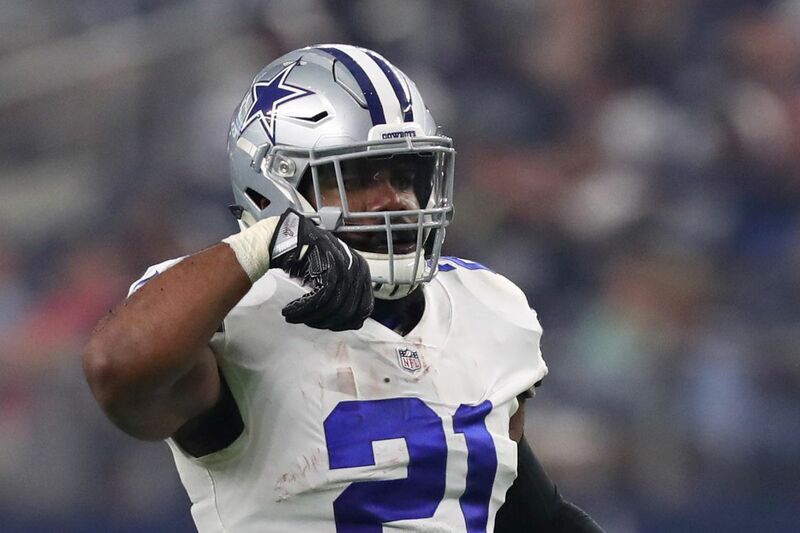 The 22-year-old Elliott was suspended in August by Commissioner Roger Goodell after the league concluded following a yearlong investigation that he had several physical confrontations in the summer of 2016 with Tiffany Thompson, his girlfriend at the time. The NFL investigated after prosecutors in Columbus, Ohio, decided not to pursue the case in the city where Elliott starred for Ohio State, citing conflicting evidence. Elliott denied the allegations under oath during his NFL appeal. “When you get accused of something of that magnitude, you kind of get labeled as an abuser,” Elliott said Wednesday. Elliott was suspended Tuesday when the Cowboys returned from their week off. The NFL placed him on the suspended list Friday, a day after a federal appeals court overturned a Texas court’s injunction that had kept Elliott on the field in Weeks 2-5. With the ruling in New York, Elliott didn’t miss any practice time. He was on the field for the first full workout Wednesday. “I don’t find it frustrating,” said quarterback Dak Prescott, who teamed with Elliott last year for a pair of remarkable rookie seasons that helped carry the Cowboys to the best record in the NFC. The Cowboys (2-3) have already matched last season’s loss total, as has Prescott with his interceptions (four). Since the 49ers are winless at 0-6, a return to the playoffs could get difficult if Dallas doesn’t win. But the outlook is already brighter than it was over the weekend, when the Cowboys were thinking they would have to find a way to rebound without their top running back until late November. Whether or not he wins his appeal is still up in the air, but the Cowboys briefly dodged a bullet by maintaining arguably their best player at a crucial point in the season. If the Cowboys do end up losing Elliott for six weeks, they can’t afford to lose any more games in which he plays. The Cowboys have been given a reprieve, and they can’t squander it. © 2018 Off the Wire Network, LLC. All Rights Reserved. All materials contained on this site are protected by United States copyright law and may not be reproduced, distributed, transmitted, displayed, published or broadcast, in whole or part, without the prior written permission of Off the Wire Network, LLC.